To go with part 10652 when requiring a Full triple boltset. 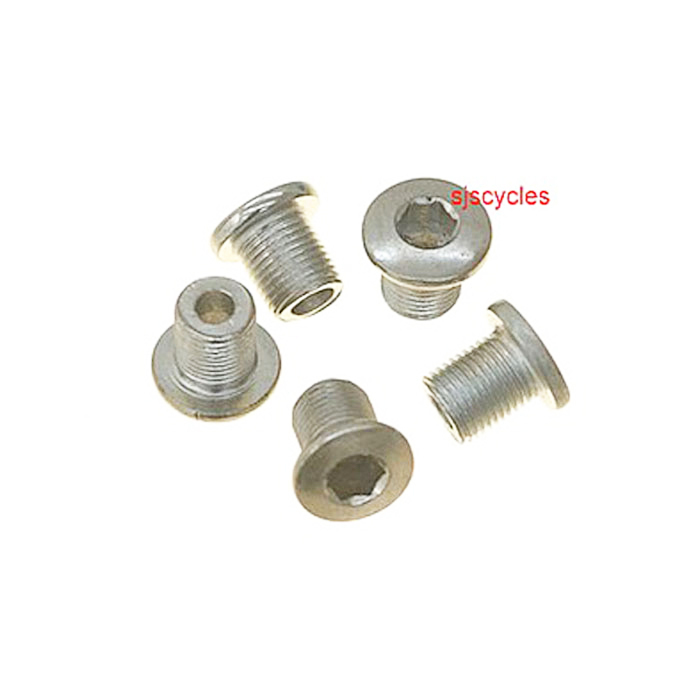 These bolts are M8 extra fine and are 8mm in length. We're not aware of any M6 inner chainring bolts I'm afraid as most chainsets use M8. Are These Items Make From Stainless Steel? What Is Part 10652? Does Not Seem To Be A Listed Part. Also what are the thread diameter, pitch and length? Part 10652 has now been discontinued, any other double/triple chainring bolts will work the same now.